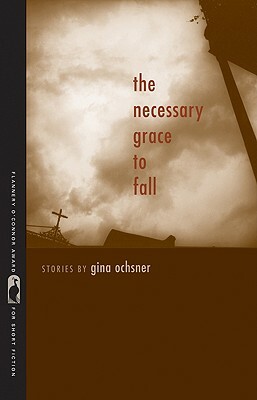 Though Gina Ochsner's debut collection, The Necessary Grace to Fall, won the Flannery O'Connor Award for Short Fiction in 2002, it received more attention after the publication of her second collection, People I Wanted to Be. Like O'Connor, Ochsner peoples her stories with oddballs (most all of them endearing) and nearly every tale turns on either the possibility or actuality of death. But before you turn aside, dear reader, know that Ochsner's luminous ruminations on terminal illness, murder, suicide, violence and war offer ample recompense, as paradoxical (and even humorous) as that might sound. The stories move with an unexpected fluency from the Pacific Northwest to West Texas to Alaska, the Czech Republic and Siberia. The book, as a whole, is of a piece, and not necessarily because of the death leitmotif. Ochsner has the gift, or has developed the talent, of making the interior lives of her characters tangible. There's a kind of playful lightheartedness to her prose that illuminates the complexity of human relationship without simplifying or reducing it, as well as a degree of magical realism as she explores the liminal spaces between life and death. In one tale, the narrator awakes to find the color red has disappeared: 'The glowing of the sunrise pushing up from behind the hills bled in stale shades of slate and cobalt and shale. The trees, which had gone to blood and fire and all the warm colors of fall, now looked frozen as if in the photographer's silver, the leaves pale like old paper money.' In 'Modern Taxidermy,' Ochsner spins the mythology of the Midas touch as the luckless Mirek brings death to every creature he dares to love. By blurring the boundaries between the body and the bodiless, Oschner makes contemplation of life's innate absurdities possible.